Our couple is officially back in the same room with each other. Can I go ahead and say that they are back together, because that is what I really wanted to write in that first sentence. Do-jin is on the case to find out who sent Jae-yi that bloody hammer. Unfortunately, we all know it was his brother who is clearly not reformed from his time in jail. Also, has anyone else noticed that we have actually had “come and hug me” or at least “hug me” references in the drama? I noticed one with Jae-yi and her brother and another one with Do-jin and his mother. I’m sure I’ve missed some though. Should this be a drinking game? MUSIC: Two OST’s are out! I’ll add the other one to the music list sometime today. Someone is throwing up in the bathroom. It’s NM. He cleans out his mouth at the sink and looks at his hand. Then he starts washing it, but blood suddenly falls on it. A policie officer says everyone went home so he will take him somewhee else. He doens’t have family members, no kids. When you start to do this, you start to hate people. I can see the rock bottom of humans in this job. NM comes out with a bloody nose. The officer looks it over with concern. Cut to them both eating at a soup restaurant. NM is just sitting there like a stone. The officer tells him to eat, you have to eat so we can be strong. Then later your fa~ at least you can see your brother. You should go to counselling and ~ I don’t know. He gets a phone call and tells the person that he is going back soon. What? Cut to the station, OH is at the station looking nervous. She is standing outside and perks up when she sees the car drive up. NM gets out and OH walks very quickly up to him. She wipes his nose and tells him that he looks bad. I told you if you walk around like this then people will look down on me. Are you looking down on me because I am not educated. Did he eat? Why is he so skinny? I took him to eat. Are you really the mother? His mother died, he remarried several times. Whatever the order, I am his mother and he is my son. Namu, are ou coming with me? Do you not like it? Are you mad because I left you alone? Are you mad? I am sorry, ajumma is sorry. You are a good boy, I am sorry that ajumma yelled at you all the time and made you sad and that Sojin bothered you. You accepted everything. Can you forgive us one more time and live with me and Sojin? Let’s go far far away and live togeher. She is not okay, she is always looking for the second brother, she is always crying. So lets go, go with me for Sojin’s sake also. Just think as me as someone who gives you a meal. When you grow up you can tell me thta you want to leave and I won’t say anything to you. Okay? NM – Omoni, I….can’t go back….I can’t go back to Sojin or you. So…just leave. Don’t come back anymore. I am ….. okay……I promised something to Sojin. Can you tell her that I am really sorry I didn’t keep my promise. That is it, that is all I want. He looks at her with pained eyes and then grabs the ajusshi’s sleeve. He asks him to take him to the orphanage, hurry. he can’t look at OH anymore. The officer tells him okay, and they walk away. But OH runs to him and hugs him very strongly on his back, she tells him no, don’t leave! Umma does not care. umma knows you so let’s go with umma. Umma will be a real umma for you. I will not leave you alone anymore and I will never let your hand go. My son, I will protect my son. Whatever happens, umma will protect you forever, okay? Umma is really sorry, I am sorry Namu, so let’s go together. Let’s go with Umma, Namu…. VO – I just hate people, when you do this job for a long time, you are dissapointed by humans. Namu/DJ helps his mother at her restaurant. His hand is bandaged and his stomach hurts, but he is still cleaning the table. His mother runs up to him and tells him to stop working You are here to rest, not work! Then the cop from the flashback comes in looking like an Avenger with a huge jacket and shades on. He smiles at Umma. Umma yells at him, how come DJ got hurt! But the officer just smiles. Umma tells him he is a pine tree, he always gets yelled at me all the time and still comes back. But then the officer and DJ sit to talk about the bloody hammer that was delivered to JY. DJ is serious as he looks at it. But the officer says he wants DJ to ignore this case. He is asking him for that. DJ has a flashback to the last two days and also to his past. He tells the team leader to give him this case. This bloody hammer and the card with JY’s real name is targetting the 12 year old case. But the officer tells him he is just a stalker, you can’t! I was worried about you because the guy that stabbed you was talking about nonsense and we see a lot of hammers around. DJ – Ajusshi, you told me that my fathers violence and hate was not his inheritance, I only have his blood and there is no dirty blood in the world. When I was young, I made up my mind, I will be strong. DJ – I am not that little boy anymore, ajusshi. I will be strong and everyone protecting me from pain and suffering, I will protect them. DJ walks up to JY and tells her that he is the detective that will take her case. She says she knows who he is, she can read Korean, but, are you really an ace? You physical condition isn’t so good. DJ – I am fine, by the way, this is the one that you recieved? DJ sits and opens the box witht he hammer in it. he looks over is closes for a moment then looks at JY. She asks who sent it and why they sent it, that is what she wants to know. Flashback to NM being held by the throat by his father. He tries to tell NW to stand up and run away. His father holds up the hammer to NM and is about to hit him with it. NW tries to stand and sees the unmoving legs of her mother partly in another room. DJ asks JY if he is okay if he takes this case. In her mind she says that she would be afraid to take him back to that hell again. But she says he is a policemen so he is okay. He tells her they will do a blood test and DNA and finger prints, they will do all the analysis with CCTV. It will take some time but he will catch who sent it and why they sent it. He will catch them and let her know, for sure. He will protect her. She tells him that he doens’t need to protect her, she will protect herself, so please be careful. PT runs in and tells JY that they can leave. He also tells DJ that he saw his photo in the news report. But DJ says it is no problem, it was his honor to take a photo of her. He asked JY if she was surprised that he showed up like that all of a sudden. She thinks he was more surprised than her, he used Seol-mal but now you are using Saturi. She smiles and leaves with PT. DJ stands and looks at the hammer agaiin. His tem looks at him. Later they look at all the CCTV’s. DJ says that her past, she is a victim of HJ, her real name is NW. The letter with her real name and the blood hammer are all like the past case and mocking the old case. JH also thinks this is a serious stalker case, not jsut a normal one. The team leader thinks this is serious. DJ interrogates the guy that stabbed him. He tells him that he knows him, doesn’ the remember him, you told me that I was crazier than you heard. Well did you hear this from the real person? The man asks him if he thinks he is normal now? He is in a haze all day. DJ asks him if he can clear his fog. He switches to Seol-mal and says he doens’t have that much room in his mind. Why can’t you say who made you like this, who is that person? The man made a knife with a can and holds it at DJ. DJ grabs his hand and tells him not to make a mistake this time, stab him properly, you already did it once. Why are you hesitating? Can’t you do it? Do you want me to help you even more? The man gives up and says that he knows now, he saw him somewhere. Your smile is just like that guy. Flashback to the brother, HM giving money to the perp. he tells him not to touch that crazy guy, he is his. The perp tells DJ that he looks similar. And when he covers DJ’s mouth, he looks even more similar. HM is following JY around everywhere. He watches her on set. DJ continues looking at the case. He finds out that his brother got out of jail recently. YJ comes up to him and tells him that the victims remember certain things. Like being stomped on by the perp with white shoes. DJ thinks about his brother wearing white shoes. He gives the image of his brother to YJ and says it is just a guess, but maybe he is the prime suspect. YJ looks at the brothers report and sees that his family member is DJ. DJ notices and says that he is his brother. He tells her to be careful, just in case. YJ tells him that he shouldn’t worry, who taught her after all? DJ smiles and leaves. In the hallway he tells his partner that the brother is the prime suspect. The brother is still in the hospital and tells DJ to be careful. MW is in the prosecutor office interviewing someone. He looks very composed as he talks about Newtons Law to a criminal. I think it is Newtons law of motion. he says this applies to Humans too. the victim that he strangled can’t even say things, so you can’t say that she screamed too much. She has thyroid problems so she can’t make sounds. he then starts to look at the newspaper and sees that his sister has a stalker. JY looks up the news on her but then she looks at someone getting married and shows it to PT. But PT saw what she was originally looking at, which was an article that HY wrote. He tells her that that woman does not quit. Then he talks about 3 years ago at that polcie school. He says that guy that stopped the reporters is the same guy at the station (it looks like he knows everything). He says if he never met her or her brother then he would live as a loser. Cut to DJ talking to someone about the hammer delivery guy. DJ knows the delivery address. HY interviews HJ and asks if his son visited him. He is your son, that is too much. HJ tells her that she changed a lot also. She says she had a program and was busy. HJ tells her that some people visit him. She asks if it is his fan club members. She noticed that he has a fan club and a cafe was opened for him. He is attractive, he has a good face and a good story. Now a days, people don’t know the diference between and celebrity and a killer. But she wonders why they are not close. Is the reason Chapter 12, That Night? That night seperated you two. I read it one more time, but I thought it was kind of flat. Appa retracted because the son came in to save the frien, but that does not seem like your character. HJ – You talk a lot of nonsense because you visited me in a while. You saw the report, NM an NW are together now, it is not official. Someone delivered something to NW, what was it? YJ suffered a lot in her short life, she passed out. After re-reading the biography, It reminded me of something….the hammer. HY – I haven’t seen this facial expression in awhile. Your achilles heel is Namu, right? If you are angry because I kind of know what is going on, then greet me like your friend. I will send you some money. HY – No, it is the money for the interview, I will ahve a lot of qustions later. Also, this time, how about a documentary, not a book. You are the main person but the side characters are Namu and Nakwon. HJ also smiles criptically. The officer comes up to take him to his cell, but HJ just looks at him so the officer lets him go. then HJ gets up and walks out on his own. (so creepy). Int he car, HY gets a photo of the hammer and laughs. then she calls someone. DJ goes to watch JY on set, but he can’t watch her kiss another man so he turns his back. Suddenly the light turns off. Everyone is scared for a moment, but no one is as scared as JY. She sinks her head into her male costar and can’t look up. Everyone looks at her. themale actor asks her why she is method acting all of a sudden, she can’t do anything but bury her head in his chest though. he is able to get her to look up. She looks so rattled and apologizes to her actor and to everyone else on set. She says she didn’t sleep that well at night and apologizes again. But the rumors start with two crew members. One fo them says she is that girl right? That is why she doesnt’ take scary movies. At that moment, everyone gets a text about an article that is published talking about JY’s past. DJ and JY look at each other for a moment. then it cuts to her changing room. JY sits and everyone else stands around her. he tells her that the address is from her house on the hill. (or something to do with the house on the hill). Dj talks to her in Seol-mal and asks her if he has seen this person. he shows her a picture of his brother. She says she knows him, she heard of him and has seen him before. DJ tells her to avoid him if she sees him, he is dangerous. He kneels and puts a watch on her wrist. From now on, wear this on your wrist. If you press it then it will call the polcie and I can track it with my phone. Wherever you are, I will know it. he kneels in front of her like he is proposing to her and is holding her hand. But he lets go of it and looks up at her with teary eyes. DJ – i am sorry…..I am really ….. sorry. He bows his head. She takes a few breaths and then kneels with him. JY – You are still a fool. I told you it’s not your fault. DJ hangs his head more as a tear is about to fall. MW shows up at the polcie station and talks to the lead police officer. He says he heard that he is on JY’s case, he wants to know who the detective is in charge. he is not there as a prosecutor, he is there as a family member. The team leader says that Dj is taking on the case. MW says, DJ? The team leader goes to talk to OH. OH wanted to talk to him about DJ. She is worried about him. he tells her not to worry. he tells her that he will carefully look after DJ, so don’t worry too much. She tells him that she trust him, of course, she is just scared. She looks at JY’s picture adn looks away. Team leader looks at it as well. HM is outside looking at his, he looks so angry and tries to roll his hate away with his eyes, but it is impossible. then HM sees SJ walking up. She has some leg pain, but she comes into the cafe very brightly. She greets the detective. OH secretly wipes her eyes and then greets her daughter happily. She wants to have dinner with all of them, but team leader fakes an injury and says he has to leave but that she can just make one spoon for him. It was just a joke though so he sits to eat with SJ. SJ asks if something happened to her brother. She has the same facial expression that she uses to lie to her so she won’t worry. The team leader just smiles. they leave. HM is still standing there and watches them leave together. then HM goes into the cafe with his hat on. OH greets him happily and asks him what he might like. This is his first time there right? he tells her that it is not his first time, do you remember me ajumma? You are pretty old now. He takes off his hat and tells her that she left him and his appa. OH asks what he did, why didn’t he call her when he got out of jail. H just yells to give them guk bap! SJ shows up and blocks her mother from him. She says hse will call the police! But then seh recognizes him. HM calls her Yoon So-jin (his fathers name, but her name is Chae So-jin now). he tells them that he will kill Namu. he smiles at them and it cuts that scene. DJ is on the street looking around. he looks up and down alleys and he also looks at a certain car. He gets all the memory cards from the cars in that area. then he calls YJ to find out additional information. Whoever sent JY the hammer is the person that did the hammer attacks on people in the city. the person they put in jail is not the hammer person. DJ hangs up, but his eyes grow red with rage. He grabs his steering wheel and screams into it. Cut to HJ in jail. HJ – Son, how strong are you now? Are you strong enough to protect everything that makes you pitiful and weak? PT calls JY and tells her not to blame herself about things, just sleep well tonight. JY smiles and says the same. She sits in her house and looks around for a brief moment, then gets a text. Someone tells her that they are at set, they would like to talk to her for a moment, can you come out? PT was about to call the director back but no answer and she was going to call PT, but she doesn’t. She just drives to set instead. It is dark and scary at the set, no one is around. She calls out to the director and asks them if they are there. But no one answers. then the lights suddenly turn off and the door to the warehouse locks. She tries to keep her composure and turns on her flashlight on her phone. She sees the set house, it’s lights are on and the Christmas tree is lit. She slowly walks up to the Christmas tree and sees a note To: NW. The Christmas music from that night plays. NW turns around and sees her family photo on the wall. She gets a lashback. HJ – Do you know who ajusshi is? I will send you to where your parents are. She tries to shake her head away. then she sees another person standing at the door, he has a hammer and he slowly approaches her. She tries to back away slowly. She has tears falling. She falls to the ground and sinks back against the wall. SHe is in the exact same pose from when she was a child. But A screech is heard in the background. DJ drive is car intot he warehouse and yells for Jae-yi! Jae-yi! He looks at the Christmas lights on in the house. ARGH!!! Why did you end it right there! I need to know what happens! Y’all, how is this show so good. How is this writer making all these amazing choices that make perfect sense and yet I still can’t guess what is going to happen? My heart was pounding at the end. I knew she had to get out of that situation somehow, but Dj breaking in was unexpected. It makes sense though because he knows where she is all all times and probably checks her whereabouts 60 times a minute. I would not be surprised if he followed her to that warehouse and heard her screaming “Is anyone there?” Which is why he drove his car through the door. Ahh! I love it. DJ – Yoon Hyung-woo, who is HJ’s son, was in jail with HJ until recently, he is our prime suspect. Hyung – Especially Nak-won, I will destroy her. DJ – If you touch her one more time, I don’t know what I will do to you. JY – Namu, hug me. Yeah, the watch, and thankfully she still has it on…which one feels like there will be a more dangerous time when she doesn’t have the watch…can’t see how this entire drama can have anything but sad and scary scenes…is there any happiness possible for these two in this lifetime? Is the reporter a victim of something, maybe? She’s so freakazoid. I feel like this writer might be trying to show the difference between sociopaths. DJ, his father HJ, MW, and reporter HY all seem like sociopaths. The reporter and HJ are the types of sociopaths who don’t care about peoples lives and can easily destroy them with no regard for anything. HJ literally kills the person whereas HY uses the news to write damaging articles and figuratively kill a person. DJ seems like a sociopath that is trying to be a good person and chooses to be a good person. That was kind of hinted at when he had a voice over where he talked about “Choice” being the deciding factor of humans (or something like that, he said it after the last time-jump when he helped that girl in the alley). JY’s brother, MW also seems sociopathic, but he is also using his abilities for good. I don’t think DJ’s brother, HM, is a sociopath/psychopath, I think he is just a damaged youth that would have turned out fine if he had been raised in another family. This is all just my guess though. But that is what it looks like the writer might be trying to say. Here’s a thing I came across: Psychopaths are said to be fearless, while sociopaths are not. I think of DJ and his grabbing the blade of the knife scene and his almost calm or fearless pursuit of the guy. I guess I’m always wondering whether DJ is just like his father (a psychopath) but as you said, made a very focused, willful choice to not go that road? And for that reason, too, DJ had a deep understanding of his father and what he had done and could do. On the other hand, DJ can and does weep, which doesn’t seem to be a psycho trait. Anyway, I like the writing for DJ’s character; it keeps me wondering and afraid to find out! Could that reporter be a psychopath? I don’t know…I like your take on her, but she really feels to me like she’s at the father’s (HJ) pathological level; in regard to that being fearless reason, she’s not afraid of him and also thinks she can try to outsmart or manipulate him, and he’s a pretty heavy dude. Yeah, definitely agree on the bros, HM and MW. Wowzer, we still don’t know everything about MW though! Okay, now I want to look up the differences! As he said, he never did any violence whatsoever to anyone, yet his brain scan was of a perfect match to what has been labeled a psychopath. It definitely seems like DO has something about him that is not normal. Many great surgeons are psychopaths, they are not affected by emotions in highly stessfull situations, which is good for the job. Being a psychopath does is not mean you are a bad person. It’s always a choice every second of our life we make choices, which makes us who we are. Many victims of violent childhood go and protect others, and others inflict the same pain they had to endure. People are mixing up psychopaths and CRIMINAL psychopaths. Lots of CEOs are psychopaths too. In this show Dad is clearly a criminal psychopath, but DJ isn’t. Not sure about Nak Won’s brother. Y’all, how are we going to survive two weeks with only one episode to hold us off? I am so glad they decided to air one episode next week and are not just saving them until the following week. But it will be so tough if they give us another crazy cliffhanger! Hopefully the production can get ahead on filming so they aren’t in live shoot mode and perhaps this will also let some people catch up on the show who are just now starting it. I’m trying not to think about it…that’s how I’m doing it! But now that you’ve brought it up….Ugh! Whoo hoo! Okay, we’ll translate it sometime today! I really LOLed (not in bad way) when I read in early posts abt this kdrama here that there were expecting bad makjang but instead, we all received I won’t afraid of this word-masterpiece. 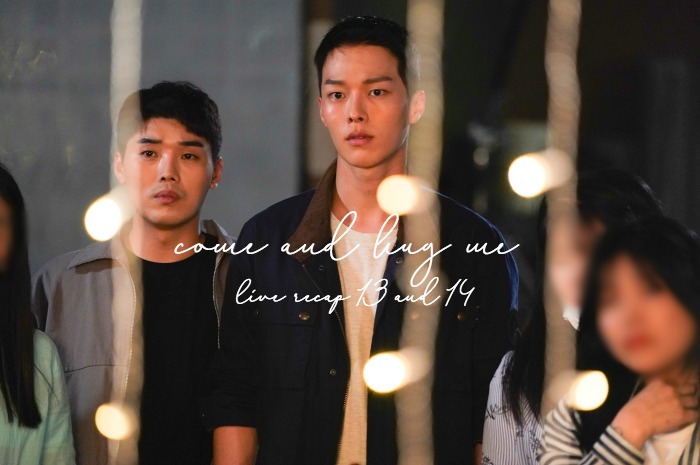 I began to watch this kdrama not even knowing Synopsis and dropped it like hot potato when I learned that there will be killing off main heroine parents, But then my friend posted really beautiful picture of Jang Ki Young in uniform and I tried for the second time and WATCHED IT ALL-All 12 ep. that was available in that time. This kdrama like big puzzle and writer and director give us piece by piece and it’s so thrilling. Also, chemistry and emotions from both leads are freaking awesome! Their gazes-UFF! Also Jang Ki Young is mighty HOT and handsome. My poor heart! Lol! I need to go back and read what I wrote because I know I was not taking this drama seriously at all. I am definitely eating my words because this show is somehow so amazing and beautiful. The cinematography is really a candy to my eyes. And actors surely can act. It’s rare talent from Ki Yong to put so many subtle emotions in one gaze. He reminds me of So Ji Sub in that part. I love him to pieces now T_T. And really I liked him more for his talent not just for handsomeness. Bcs of his talent his handsomeness shines like x100. He really captivates me. Ohh! There are so many hansome actors who can’t act so they just become “meh” to me and then there are other not so handsome actors who can act their pants off (like Eddie Redmayne) who basically make me love them and think they are the handsomest thing on earth. But then there are those people (in this case, men) who are handsome and can act so well. It’s like I already am interested in them becasue they are handsome but then they make me fall into even deeper bottomless pit love with them when they act their pants off and make me love a character they play. Jang Ki-yong is the later which is so dangerous because he is even more handsome than handsome men and can act like he went to school for it. I hope I don’t become too obsessed with him, I might need an intervention y’all.